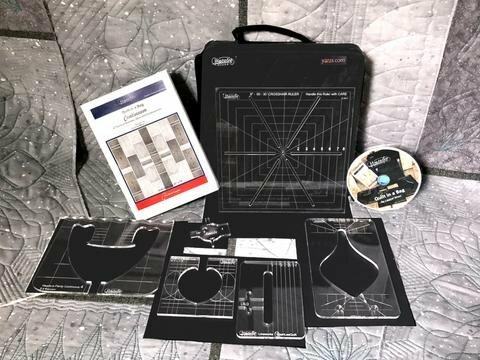 The Quilt Class in a Bag is a completely new template set and a 6 point -8" cross hair ruler!!! PLUS, the all the tools come in a Yazzii Bag. The bag value compares to other Yazzi bags that retail for $ 40! *Continuous Border Loop 2" x 2"
*London Collection Continuous Hearts-a-Plenty 4 2"x4"
*Instruction Book and CD with all the lessons - no more downloading! !